I'm always looking for ways to make learning fun and interactive for my little one. 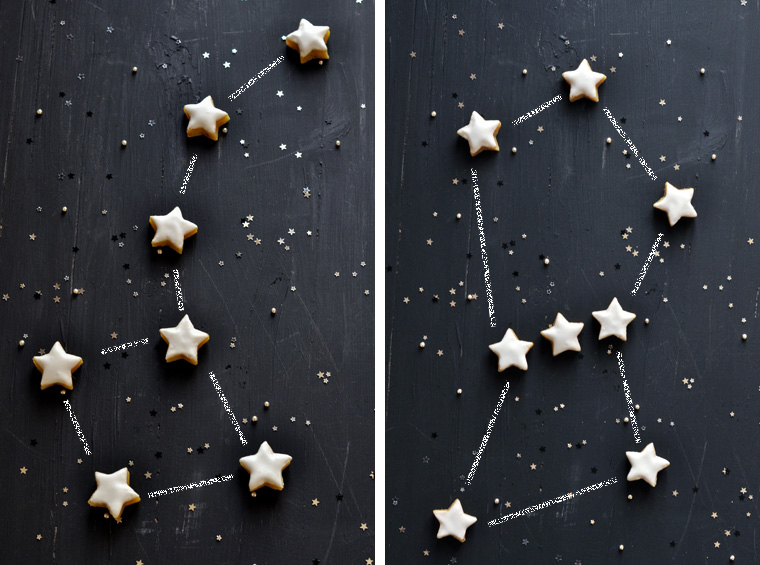 She likes to help me bake, and of course she loves cookies, so a day of making cookie constellations would be perfect for her. 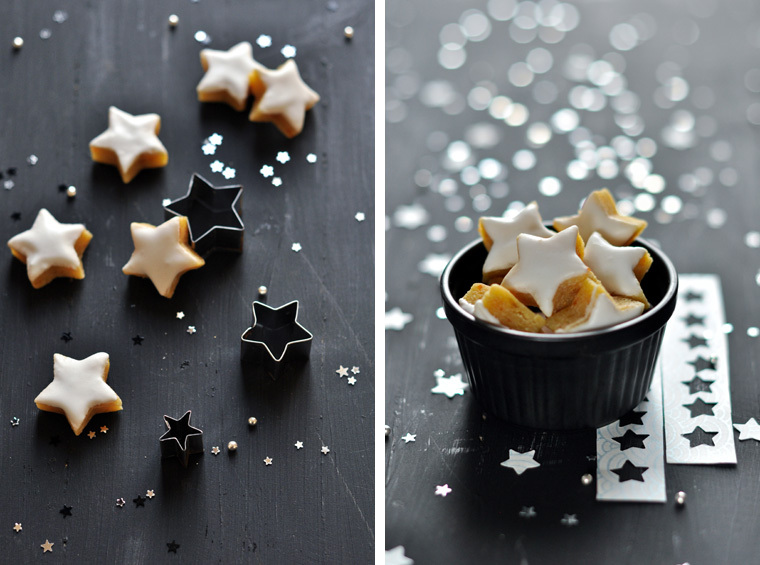 I saw these adorable cookies on Carnets parisien and thought I'd share. 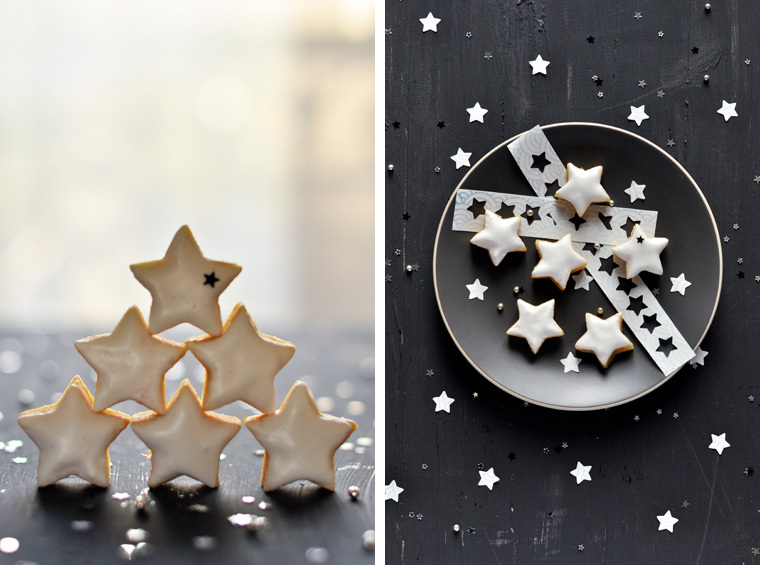 If you want to reduce the time and mess involved in this project, bake the cookies after kiddo goes to bed and then unveil the "make a constellation" game during playtime the next day. Look at pics of constellations, talk about them, and see if your little one can recreate the shapes she sees.